Samples of debris reportedly recovered by Frank Kimbler at what he believed to be the vicinity of the storied Roswell crash site were provided to Hal Puthoff's Earth Tech and Robert Bigelow's BAASS, each later named as key figures in a Pentagon-funded UFO investigation project in a much discussed Dec. 16, 2017, NYT article. As many are aware, the Times piece described what came to be known as the Advanced Aviation Threat Identification Program, among other titles, which reportedly operated from at least 2007 through 2011. A 2011 blog post at The UFO Trail suggested Kimbler provided samples for testing to Puthoff and Bigelow, the latter of which the Times described as directing the modification of buildings in Las Vegas for storing materials recovered from unidentified aerial phenomena. Puthoff informed Kimbler of the availability of funding assistance for possible further testing, according to a 2011 email from Kimbler. Several websites are effectively pursuing likely sources of claims of stored materials, including blogs written by Keith Basterfield, Jason Colavito, and Robert Sheaffer. Worthy analysis of the "alloys" aspect of the evolving AATIP story was also published at Daily Grail. The Kimbler saga might add yet another piece to the puzzle. Researchers are largely forced to untangle the web on their own, as those claiming to be in the know are selectively releasing incomplete statements, often struggling with reasonable follow up questions if not altogether ignoring them. As Colavito wrote, writer Leslie Kean, a co-author of the original Times article, had trouble trying to explain what was not classified about the alleged alloys and other aspects of the program. Similarly, the exact origins of the materials in question are unclear, as are their ownership. Email exchanges with Kimbler leading up to the blog post include an Aug. 22, 2011, message in which he explained he provided Earth Tech and BAASS with samples. He described both outfits as not forthcoming with information, sometimes requiring months of repeatedly asking the status of tests. He never received any data at all on one particular sample sent to BAASS, Kimbler wrote. Kimbler added in the 2011 email that an interesting side note occurred when Puthoff of Earth Tech, in spite of being relatively unhelpful with the tests, later wrote Kimbler. According to Kimbler's email, Puthoff suggested financial assistance was available for more analysis if desired. This seemed to leave Kimbler somewhat perplexed as to why adequate testing was not simply conducted on the samples and satisfactorily reported to him in the first place. Offered an opportunity to comment for this post, Kimbler replied in a June 28, 2018, email, "Everything I said in 2011 is true." Earth Tech did not immediately respond to a request for comment. 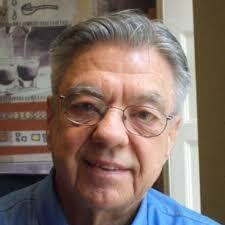 The significance of debris found by Kimbler in the New Mexico desert sparked debate within the UFO community. Some believe it to be remnants of a crashed alien spacecraft, while others suspect it may provide clues to what human-manufactured vehicle actually went down that fateful summer of 1947. 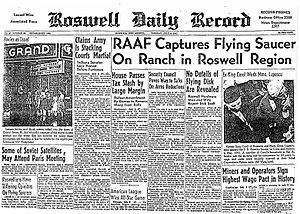 Others point out the material has not yet been established as necessarily having anything at all to do with the famous Roswell story.